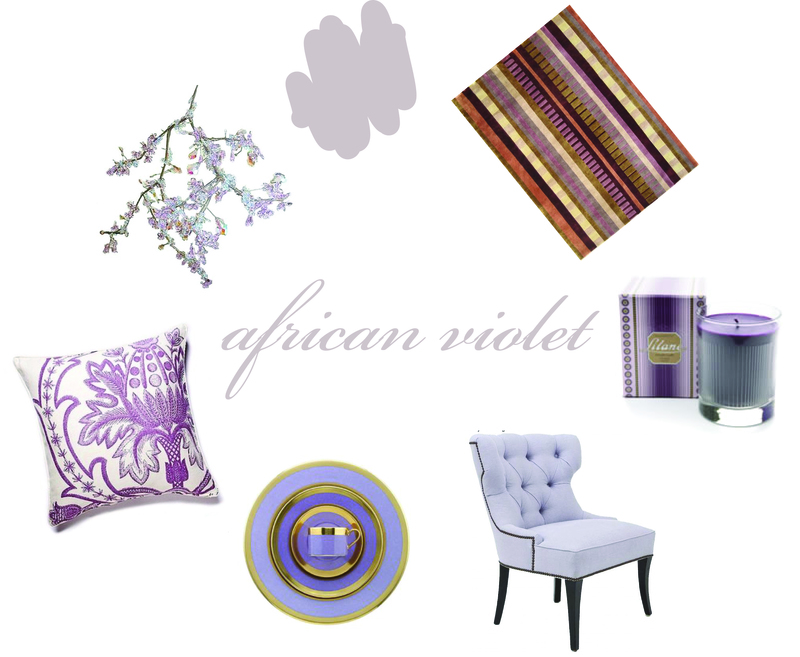 Color Friday is: African Violet! Yesterday was a historic day for my color consultation business, as it marked the day that I have recommended Benjamin Moore’s “African Violet” (2116-50) to THREE clients over the past six months! From L to R: Bedroom via DecorPad; Living Room via CocoCozy; Bedroom Vignette via Traditional Home. I know that designers typically have their favorites, and I suppose that this is one of mine. It’s such a rich and subtle shade of purple-gray that’s not too dark and not too light: cool and calm, but still earthy and inviting. It’s really gotten such that when I go to do a color consult, I will often stop at African Violet while flipping through the fan deck and hold it up to the client just to say, “Look at this. It’s not for you, but isn’t it such a great color?” So far no one has told me I’m wrong…or crazy. One of the best things about this color is its versatility. Purple is almost always a distinctly feminine hue, but this particular version is subdued and actually kind of masculine. 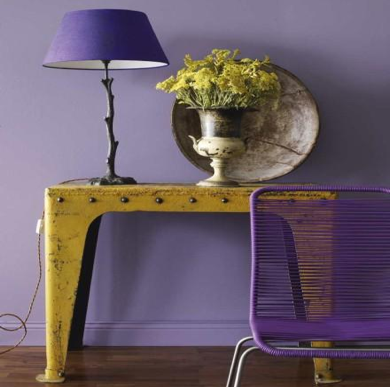 With African Violet walls you can go in so many directions. Maybe you decide to match the tone with your accessories and fabrics to create an elegant decor, or perhaps you want to incorporate plums, mauve, violets, and lavenders for a cheery and energetic vibe: anything goes…even a bright yellow accent. …and on that note, here’s your Color Friday collage! This week’s collage focuses on items that are in the African Violet color family, and purples that will mesh well with the shade. Enjoy! Clockwise from top swatch: Benjamin Moore "African Violet;" Rug by Fandango; Candle by Claus Porto; Chair by Windsor Smith Home; China by William Yeoward; Pillow by Thomas Paul; Swarovski Crystal Chandelier, special edition. ← Find of the Week: Vintage Painted Table!